Well, it's officially Friday, and I officially need a drink. This week, I took inspiration from seasonal foods again, and thought I'd bash up some plums. Literally. Although satisfying, I also needed a healthy kick of booze, and I decided this week it had to be tequila. Plums also go brilliantly with almonds, so I sploshed a bit of amaretto in for good measure. 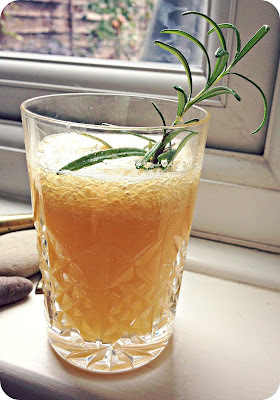 The flavours in this cocktail are all in the rich, satisfying and warming category, but the finished result is surprisingly refreshing, and not too sweet at all. If you do like it sweeter, I'd highly recommend a dash of sugar syrup. If you have time, infuse some rosemary in it for extra flavour, it goes BEAUTIFULLY with these flavours. 1. Put the plum juice, orange juice, amaretto and tequila in a cocktail shaker filled with ice (if you're using rosemary syrup, I'd pop this in now too). Shake it like your Daddy's not watching, and strain into an old-fashioned glass. 2. 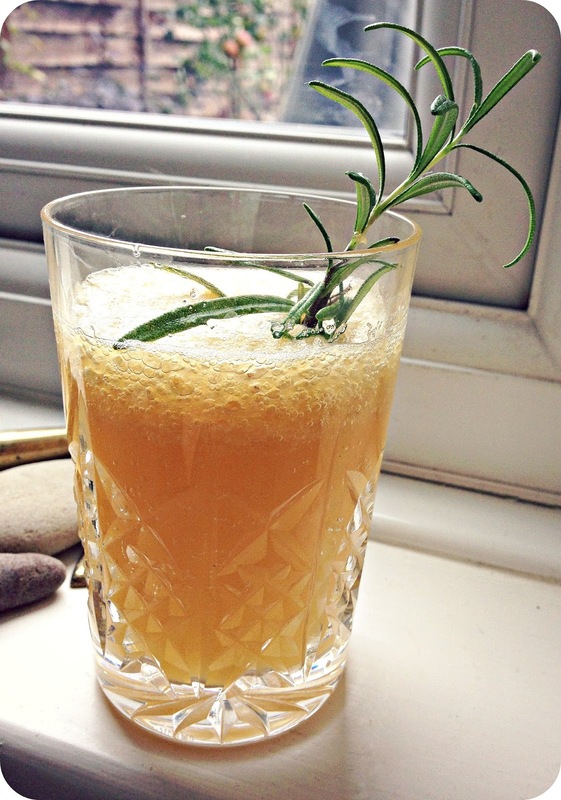 Top up with soda water, and garnish with a sprig of rosemary. What are you up to this weekend? More importantly, what are you drinking? Let us know in the comments.